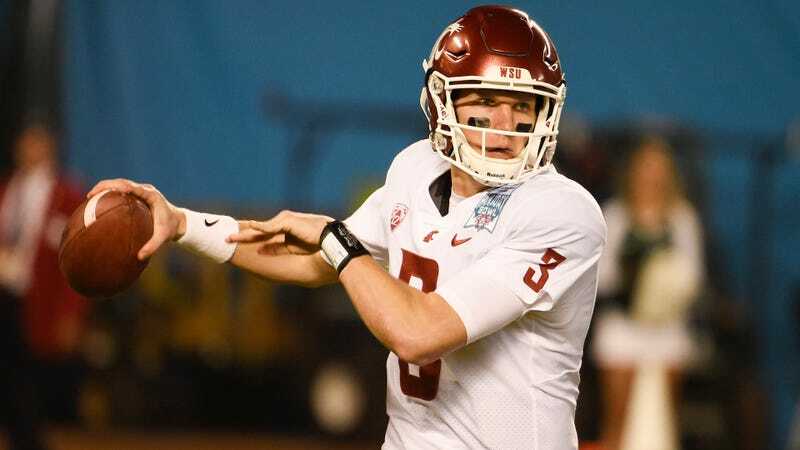 Washington State quarterback Tyler Hilinski has been found dead in his apartment in Pullman, Wash. Police are investigating the 21-year-old’s death as a suicide. Hilinski did not show up to football practice today, so police were called to check on him this afternoon, according to the Pullman PD statement. He was found dead with an apparent gunshot wound to the head and a rifle next to his body, along with what has been identified as a suicide note. Hilinski, a redshirt sophomore, appeared in eight games this season and was expected to be the team’s starter next year. Update (12:30 a.m. January 17): WSU has issued a statement.